The law as it relates to car restraints in Australia is age and height based. Depending on their seated shoulder height by approximately the age of four, a child must be sitting in a forward-facing approved child restraint, such as a booster with an inbuilt harness, or an unharnessed booster seat with a properly fastened and adjusted seat belt. They must remain in a booster seat until at least seven or eight years of age, again subject to their shoulder height. It’s vitally important that your child is always seated in the right car restraint seat for their age and size. Consider this when working out which booster seat for 4 years olds is best. Car seat laws exist to protect children and to maximise their safety in the case of an accident. It is also extremely important that all car restraints are installed correctly. Kids seem to grow at such an alarming rate! One day they seem fine in the booster seat and the next their head is popping out the top of the headrest and the seat needs to be adjusted before you can drive anywhere. Given how fast they grow, a booster seat with easy headrest adjustment is necessary for saving you significant time and effort. Look for easy headrest adjustment for a quick and simple height change without having to remove the whole booster seat from the car. Some booster seats will have a single-handed adjustment while others will require two hands. Either way, look for simple lift and click features that require no fuss. It might not be the first feature that springs to mind when you think of booster seats but cup holders are a parent’s sanity saver. We all know how distracting it can be when you’ve got a four-year-old in the back seat of the car announcing their thirst and demanding water while you are trying to keep your eyes on the road. Booster seats with swing out cup holders should be large enough to hold a full-sized drink bottle and will usually feature two cup holders that are stored neatly within the seat. Pop a drink in one and a snack cup in the other. Or alternatively, give your big kid responsibility for drinks and keep their sibling’s water in the second cup holder. It’s amazing the amount of heat a child’s body can generate, particularly when they are sitting in a booster seat in a hot car. Wicking fabric really is a must have for comfort when choosing a booster seat. Wicking fabric has properties that draw moisture away from the body to help keep the kids cooler and more comfortable. Wicking fabric in a booster seat means more comfortable kids and a happier mum! As your family grows, fitting car seats along your back seat can be more impossible than a game of Tetris. For families with three children, look for booster seats that are narrow without compromising comfort. Narrow designs can fit three car seats along the back of (most) cars without any acrobatics or extreme workouts required. 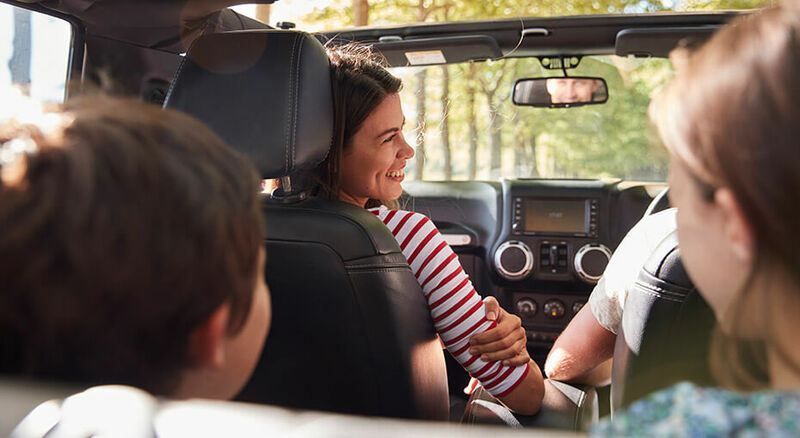 Even if you only have two children, narrower car seats also allow a third person to sit in the middle on the back seat, freeing up your car more if you have a large extended family. Let’s not kid ourselves that choosing the right booster seat for kids is about anything less than their safety. That’s why they are in a car restraint in the first place. Ensuring that your child is sitting in the right seat for the age and size (ensuring their shoulders do not exceed the height markets on the seat) is the first step. At Mother’s Choice, we include Air Protect™ Technology in a range of our seats to reduce the severity of side impact crashes. These kind of crashes account for a third of all child crash fatalities, nearly all due to head injuries, so we know how important it is to offer this protection. Air Protect™ is built into the headrest of the booster seat and in the case of a side impact crash absorbs the energy from the force of the crash and transfers that energy away from your child’s head. The headrest acts as a cushion to offer extra protection in case of an accident. If your child is old enough for a booster, consider the benefits that will save you the most time and energy while keeping your precious little one safe and comfortable in the car.